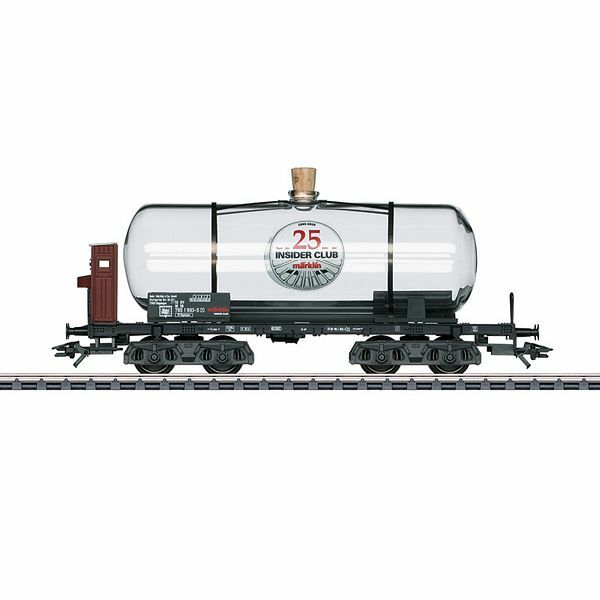 Prototype: 4-axle glass tank car with a brakeman's cab. Privately owned car for the firm Gebr. Marklin & Cie. GmbH, Goppingen, used on the German Federal Railroad (DB). The car looks as it did in 1993. 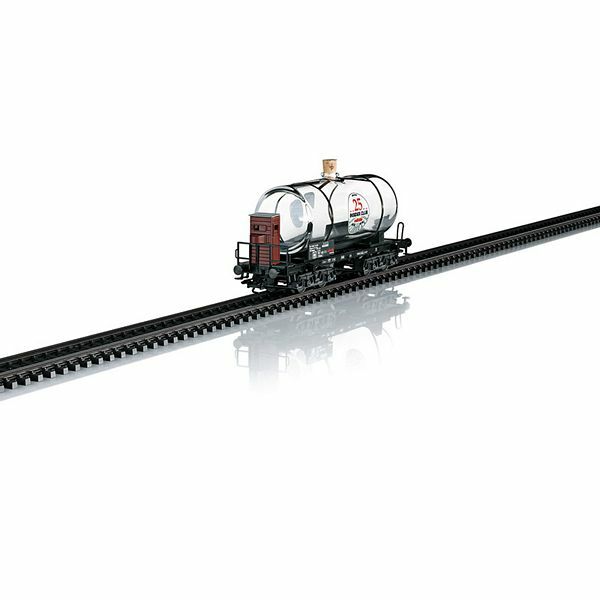 Model: This car has a four-axle freight car frame with trucks and a brakeman's cab. The model is finely constructed with a partially open car floor, metal sills, and close couplers. The tank is made of real glass in a special holder constructed of metal. It can be filled with liquids and sealed with a cork. Length over the buffers 14.3 cm / 5-5/8". DC wheel set E700580. For all Insider members with 25 years of Insider membership. Coupon required.